Former Vice President and leader of the fledgling National People's Party (NPP) Joice Mujuru will have an idea of much work she has to do to convince her critics when she holds a rally in Harare's Kuwadzana high density suburb tomorrow - amid widening rifts among her supporters in some key Matabeleland provinces. Mujuru's rally comes as there are growing discomforts within the opposition ranks as the NPP continues to unravel at a time the parties are looking to finalise the mooted grand coalition which is expected to contest President Robert Mugabe and Zanu-PF in next year's watershed elections. At the same time, Mujuru's recent comments in which she intimated at readying to lead the much-talked about coalition, have further ruffled feathers among opposition party supporters who are yet to fully accept that she is now part of them. However, a buoyant NPP Harare provincial spokesperson Clive Mandizha said Mujuru was expected to draw a huge audience at her Kuwadzana rally. "We are excepting our president to address people on Saturday. She is going to talk about the coalition. It's our first rally in Kuwadzana. We are expecting a huge crowd. "This is a perfect opportunity for Zimbabweans to meet and hear wise words from president Mujuru. She is also going to talk about the 2018 elections. We want to bury Zanu-PF next year so that the country can move forward. "She has got the solutions on how to solve the current crisis and is going to give direction the country is supposed to take so that we can solve the current economic problems," Mandizha told the Daily News yesterday. Mujuru and opposition leader Morgan Tsvangirai have signed a Memorandum of Understanding (MoU), signalling their intention to finalise the mooted electoral alliance. But Mujuru's NPP has been hit by fresh problems in Bulawayo and Matabeleland South provinces, respectively, where disgruntled officials have either resigned or deserted the party. On Monday, NPP's Matabeleland South provincial chairperson Bekezela Maduma Fuzwayo resigned from the NPP together with other disgruntled party members. This followed hard on the heels of a string of resignations in Bulawayo province where disaffected members complained of tribalism, factionalism and disharmony in the party. "Please allow me to announce my immediate retirement from active politics as I need to concentrate on my studies. I have since communicated this arrangement to my ward, constituency and provincial leadership and hope they will communicate the same to the higher authorities if need be," Fuzwayo said in his resignation letter seen by the Daily News. NPP spokesperson Methuseli Moyo confirmed the resignations and said they were not saddened by the departure of Fuzwayo and other officials. "Fuzwayo and a few others have resigned from the party. To be honest, we expected this to come given the internal dynamics in the party. "I don't want to say we welcome their departure, but we are not sad at all that they left. We expect others to follow suit. Believe me, NPP has just become a stronger and healthier party, with some of these purported resignations. "Some of the people seemed to be in the party to engineer antagonism and factionalism. They found the going very tough because we refused to allow them space to execute their agenda," said Moyo. Mujuru has been battling myriad problems since she resurrected her political career after her sacking from Zanu-PF on untested allegations of trying to topple Mugabe. In February, Mujuru severed her ties with the Zimbabwe People First (ZPF) after she fired six high ranking officials — including the party's founding elders Didymus Mutasa and Rugare Gumbo — over allegations of spying for Zanu-PF. Apart from her bickering with Mutasa and five other senior officials, Mujuru was also dealt a body blow when she suffered mass desertions, including receiving resignations from some of her long-time aides such as Sylvester Nguni, Ray Kaukonde and retired brigadier-general Aggripa Mutambara. 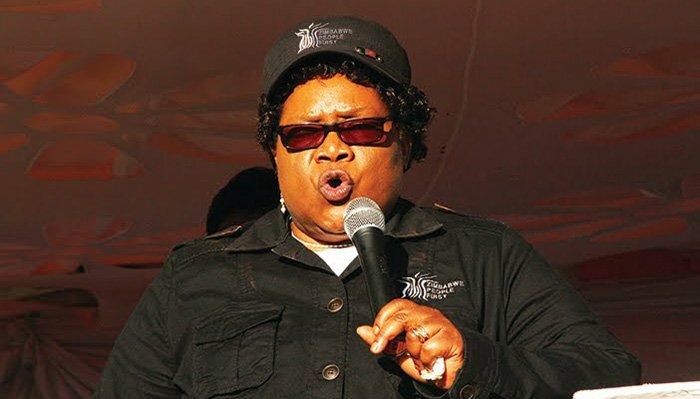 But just as Mujuru was beginning to think she had put her ZPF problems behind, the NPP is already starting to unravel spectacularly — with the latest resignations further casting doubt on her capacity to mount a serious political challenge against Mugabe's Zanu-PF.